Imagine it’s morning. You’ve just woken up, perhaps because of the sun streaming in through your windows. You stretch a little and slowly open your eyes, trying to clear the sleep and haze that settled in overnight. You don’t notice anything amiss with your first blink, but with the second blink, you see a shadowy blob at the end of the bed. It’s too big to be pillows or a pile of blankets. You quickly blink again to force your eyes to focus, and realize the blob is definitely a person. Could be a family member, you think—but by the fourth blink, your sleepy eyes have cleared, and you realize there’s definitely a strange man sitting at the end of your bed. And he’s bleeding. Now, imagine all of that happening, and you’re the Queen of England. That’s exactly what occurred on July 9, 1982. 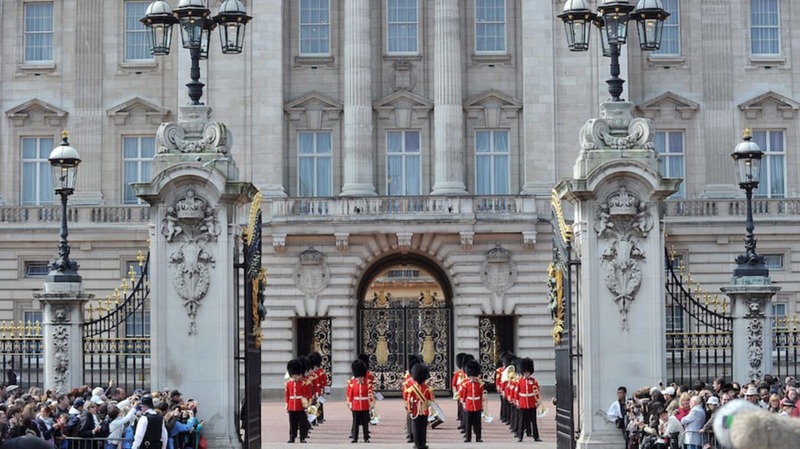 A 32-year-old man, Michael Fagan, scaled a 14-foot wall at Buckingham Palace, climbed over barbed wire, and then scaled a drainpipe. He wandered around inside the palace, even triggering two alarms when he looked at King George V’s priceless stamp collection. Security assumed the alarms had been accidentally tripped and shut them off, which gave Fagan ample time to reach the Queen’s personal bedroom. Though the Queen usually has a guard posted outside of her door, Fagan happened to reach her room between a shift change—one guard had left, and the new one was out walking the dogs. Though it has been reported that the intruder sat and chatted for at least 10 minutes before the Queen was able to summon help, Fagan himself says it didn’t quite happen that way: “Nah! She went past me and ran out of the room; her little bare feet running across the floor." To this day, Fagan isn’t sure why he did it. “Something just got into my head,” he explained in 2012. Whatever “something” was, it got into his head twice. Fagan later admitted that he had broken into Buckingham Palace several weeks prior to his encounter with the Queen, finding some presents for young Prince William and drinking a bottle of wine. He left before he could be apprehended. The Queen’s security team was a lot more hospitable than their counterparts over here in the States. Fagan— who, following the break-in, was sent to Brixton Prison and Park Lane secure mental institution on unrelated charges—says that when the guards came across his sandals on the roof years later, they mailed him his missing footwear.